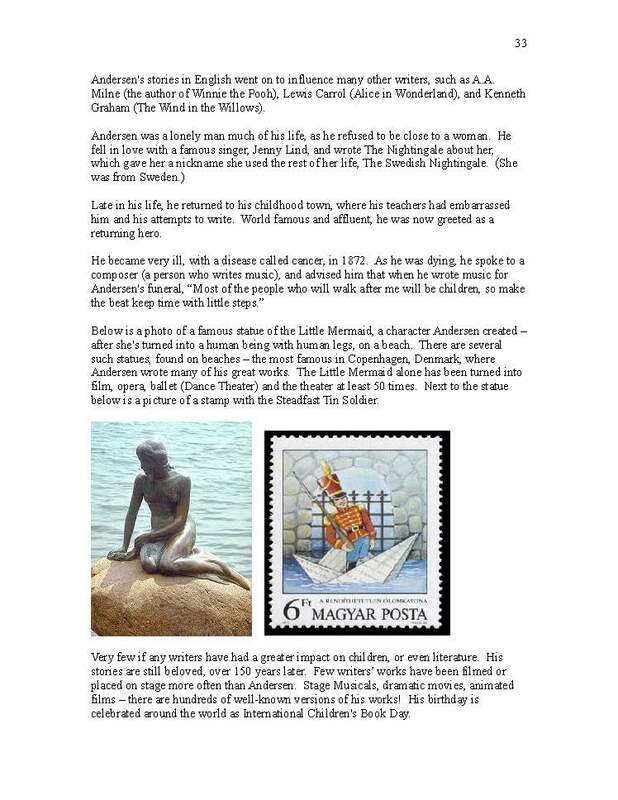 Few if any writers for children have had their stories more sung, more filmed, more read and more loves than Danish author Hans Christian Andersen. 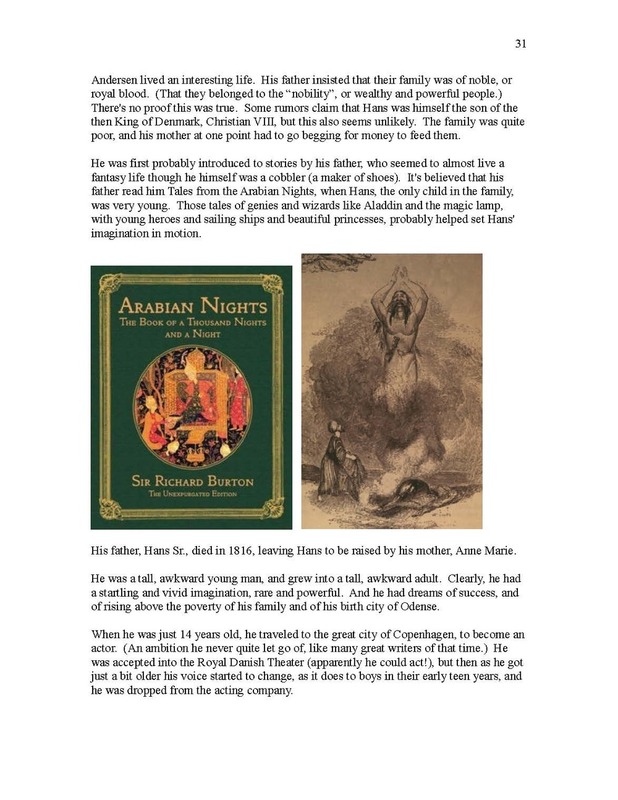 Here are over 20 of his most famous and beloved tales. The history of the period of time is explained, so that the student understands why Andersen wrote each tale, and what he was trying to say to his readers about their time (and ours). 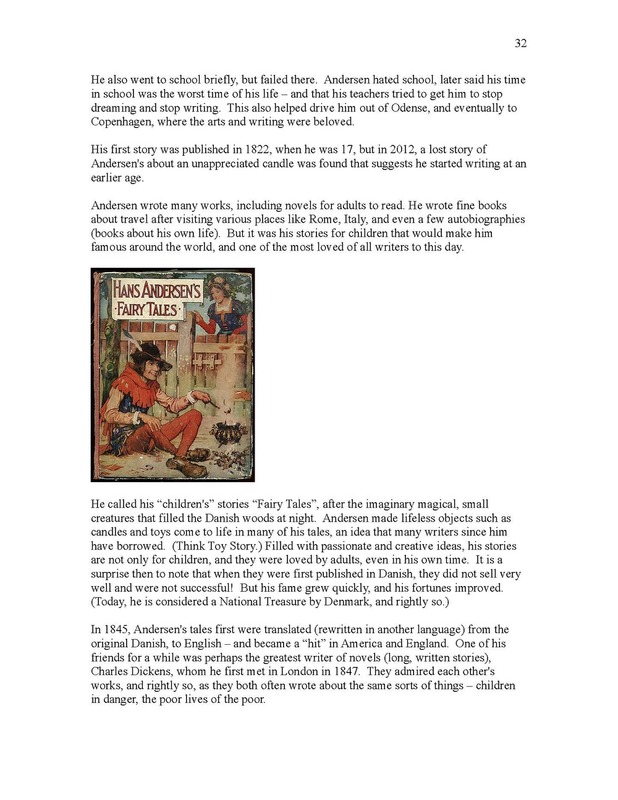 Andersen's personal history is also explored, and the student relates what he's learned about Andersen's' life to the story, and how Andersen's' own experience helped to create this masterpiece. The history of the book itself, its publishing successes is considered.